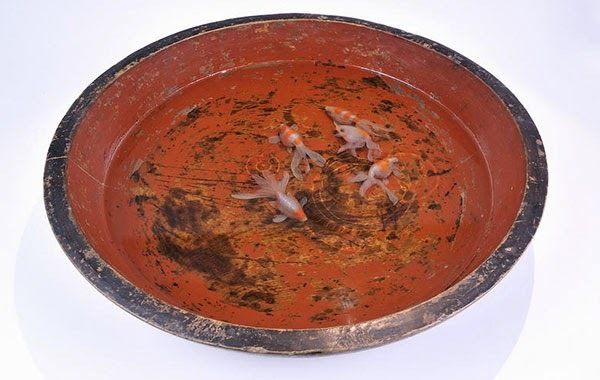 New goldfish paintings on layers of resin. 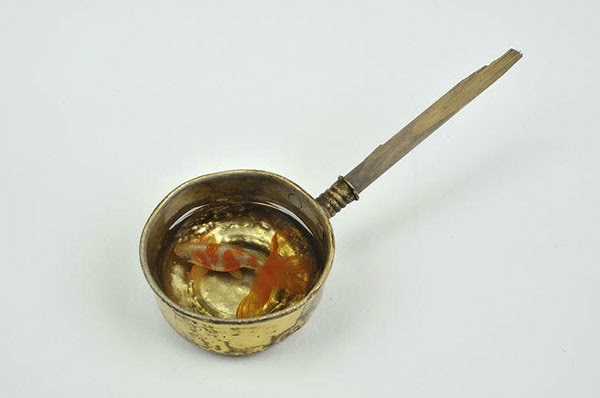 His technique involves pouring a layer of resin into a container then as soon as the resin dries, a small portion of the fish is painted. 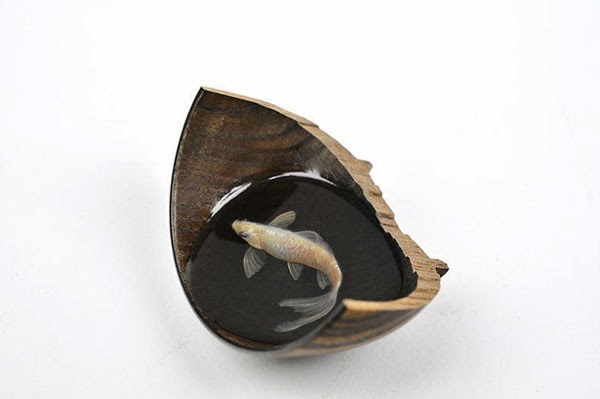 He repeats this process until the finished artwork is a three-dimensional representation of the goldfish (see the video). 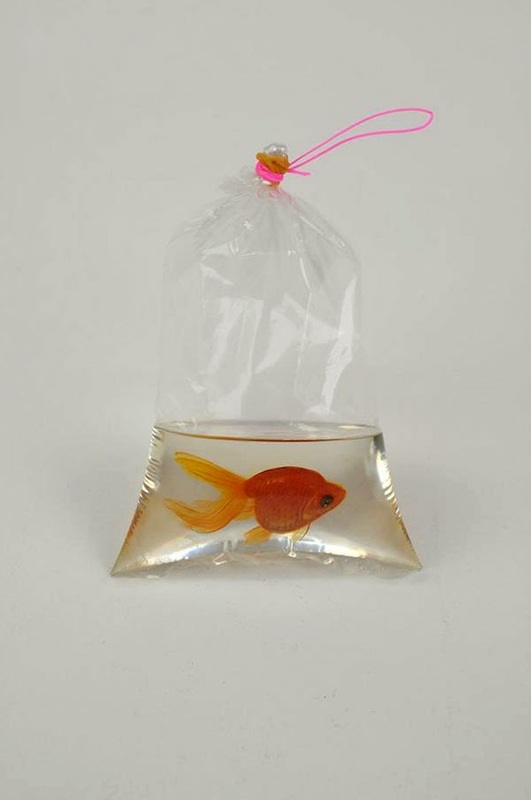 I think of goldfish as a living sculpture with man-made modifications. 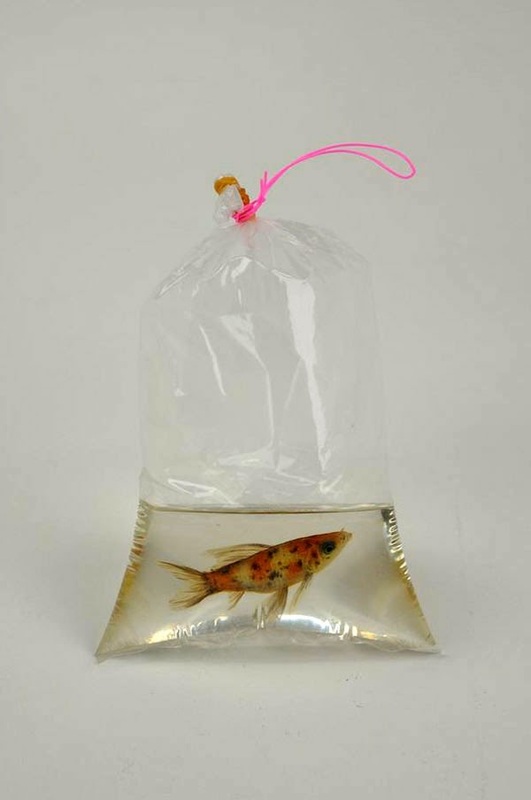 It never reaches the completed form; the goldfish’s vulnerability and imperfections bring out our motherly instinct. 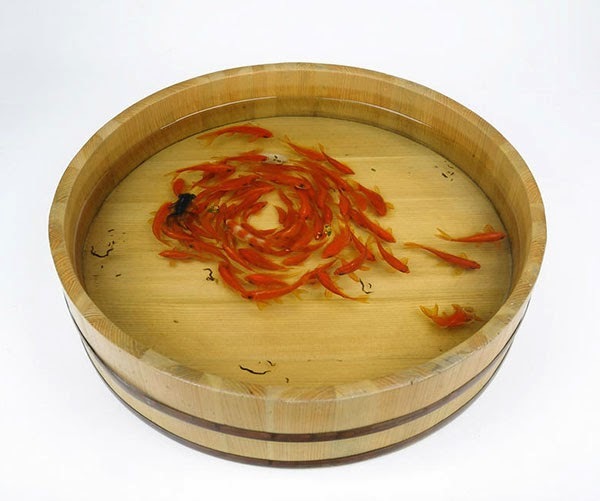 I've been bewitched with the strong energy of life of goldfish that has inherited mutations for more than 1500 years, continuously changing forms by man's hands. I've been depicting an uncountable numbers of goldfish in my work, but the mysterious pull towards goldfish will never die for me. 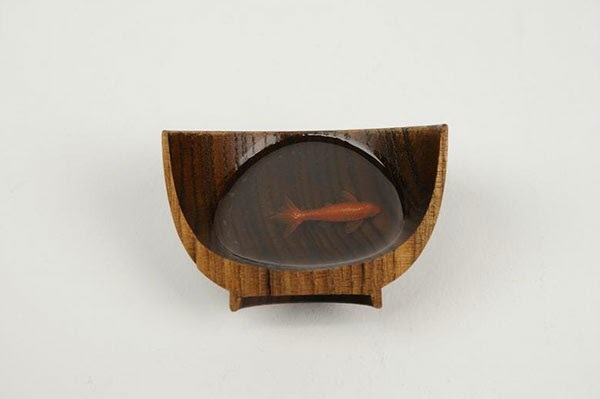 The impulse of exploration, "What are goldfish" drives me to create more. Where and how they want to swim, and what they think; these are the questions that I've been asking myself when I paint goldfish. 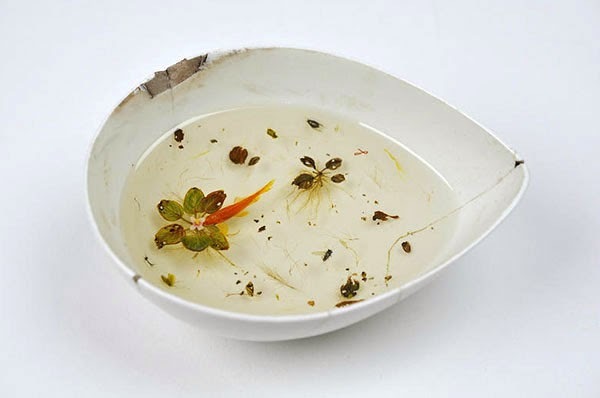 I believe this process will help breathe life into the goldfish in my works. 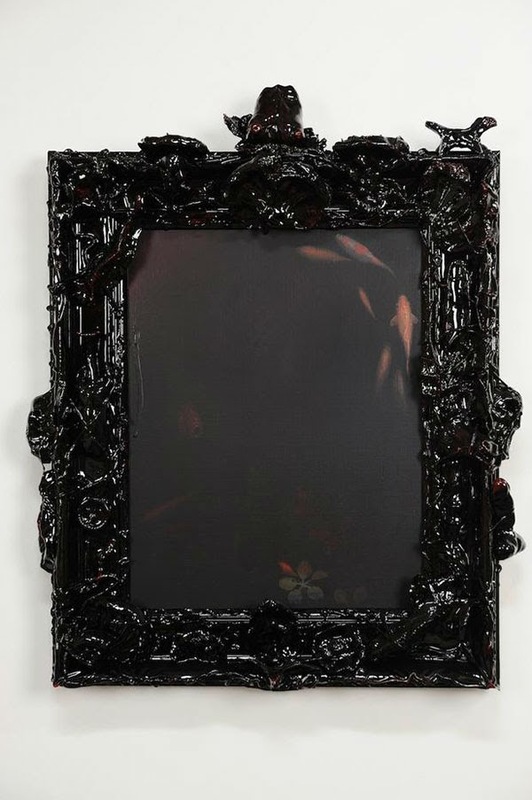 The paintings will be on display at Joshua Liner Gallery. 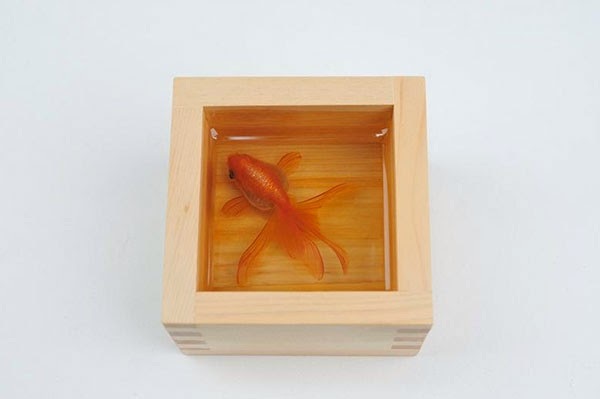 For a similar artist using resin, check out Keng Lye's work.